Alice Coltrane was an American jazz pianist, organist, harpist, and composer. Coltrane was born Alice McLeod on 27 August 1937 in Detroit, Michigan, and died on 12 January 2007 in Los Angeles. She studied classical music, and attended Cass Technical High School in Detroit, where she had continued her musical training. In 1959 she traveled to Paris and studied briefly with pianist Bud Powell. She began playing jazz as a professional in Detroit, with her own trio and as a duo with vibist Terry Pollard. From 1962 to 1963 she played with Terry Gibbs's quartet, when she met John Coltrane, with whose group she played piano from 1965 until his death in 1967, and whom she married in 1966. Alice Coltrane had four children: singer Miki (Michele) from a previous marriage, saxophonists Oran and Ravi, all of whom survive their mother, and John W. Coltrane Jr., who died in an automobile accident in 1982. Since her husband's death she has continued to play with her own groups, moving into more and more meditative music, and recently playing with her children. She is one of the few harpists in the history of jazz. In the early 1970s, after years of involvement with Eastern religion, Coltrane took the name Swami Turyasangitananda. She was a devotee of the Indian guru Sathya Sai Baba. 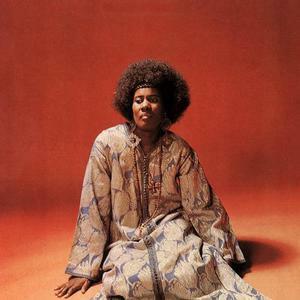 Alice Coltrane is a great-aunt to Los Angeles based experimental music producer Flying Lotus.